We’ve got a few big things coming this November! We’ll kick it off today with Part II to our Denver Mancation Disc Golf trip, but first–a look at a few records we broke this past month. In the year and half history of Dogleg Disc Golf, I’m pleased to announce we have broken a few of our personal records in blog stats this past month along with some other big achievements (for us)! Simply stated, October rocked! Tuesday we set a new record in total blog views for a single day. We beat our previous record by ▲26+% set back in June 2011. This past week was our busiest/most viewed week to date! We were up nearly ▲163+% from our normal average. We had 800+ views this past month which surpassed our previous record by ▲50+% that was set back in July of this year. Our “Average Views Per Day” have nearly doubled any other month to date. We broke 7,000 blog views this week! 3) Hello Everyone! Want To Build Your Own Quality Basket? 1) Discasaurus – New Disc Golf Score Tracking App for the iPhone/Android! 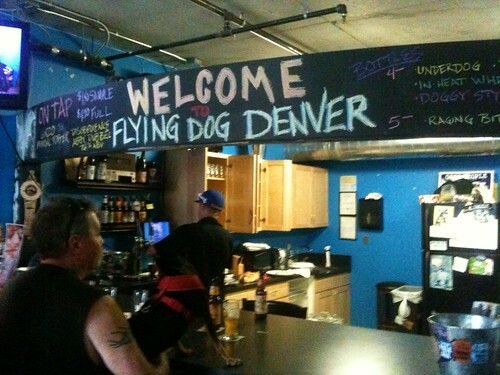 This past week Avery Jenkin’s himself tweeted us back with “Great Post!” and started following our blog after the publish of my Dogleg Loves Flying Dog post! Also this week, Destin’s The Importance of a Fairway Driver post was featured on Go Ham Disc Golf’s YouTube Video. Around the 2:55 mark, Dogleg blog gets a plug! To catch a glimpse of the video review, click here! Dogleg getting exposure, yay! We, here at Dogleg, greatly appreciate all of your positive feedback and support from our fans, family, friends and visitors that frequent our blog regularly. We look forward to an exciting month ahead and will continue to bring you guys quality material, reviews, pics and more only at DoglegDiscGolf.com! Rattle those chains and “Blog the Dog”. We’re always looking for new contributors to the blog, young or old, newbie or pro. If you are interested, please shoot us an email at DoglegDG[at]gmail.com. 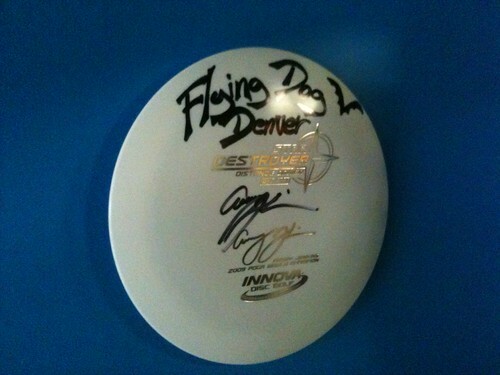 Don’t forget to follow us on Twitter @DoglegDiscGolf. Here’s to a new chapter in the Dogleg book!